Back: Thicken Breathable mesh Sponge. 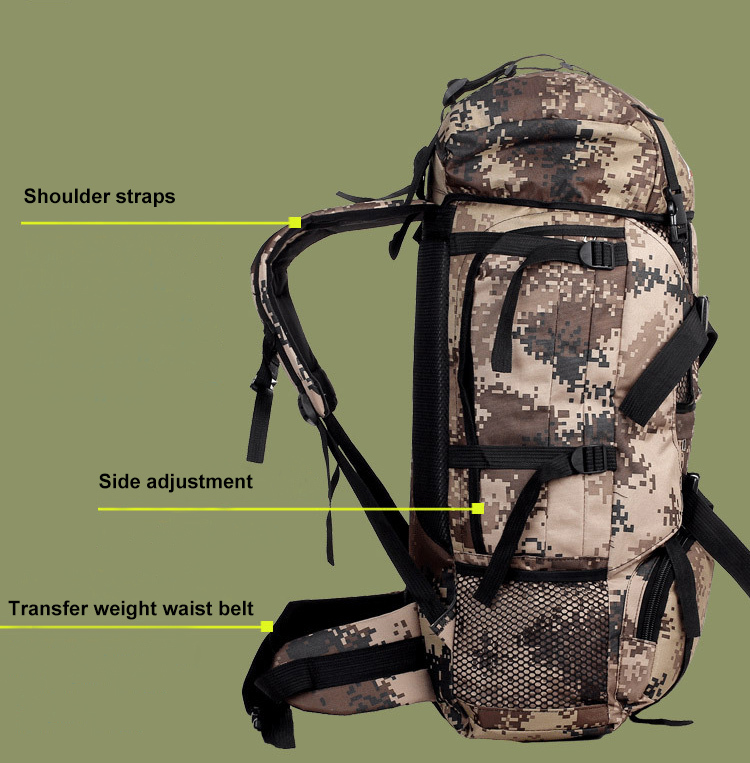 Comfortable and durable for your most satisfactory pair of hiking backpack. Shock absorption shoulder belt: All the shoulder and waist belts use the widen design, strong and wear resistance, make the waist force more evenly and reduce the shoulder, neck and spine to bear weight. 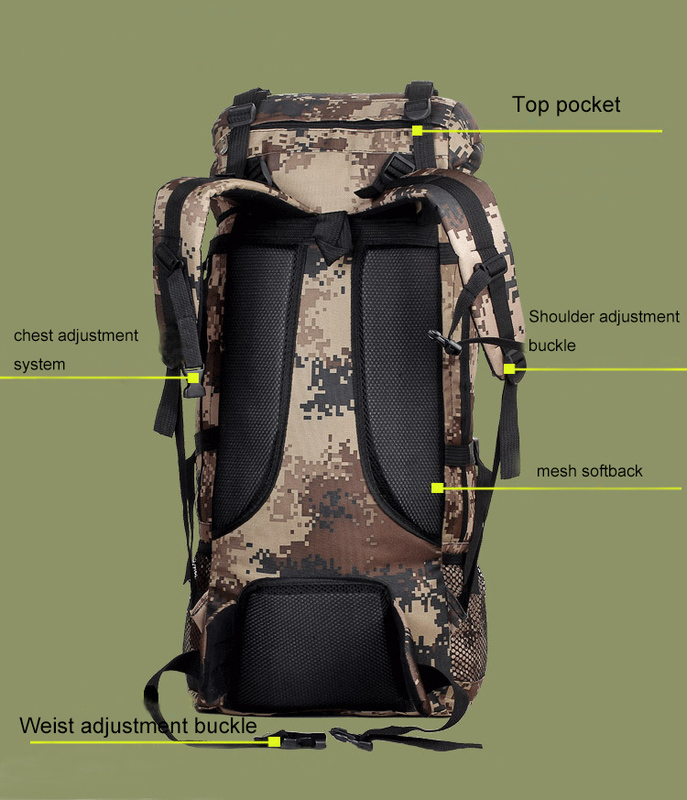 Suit for professional mountaineering, hiking, camping, fishing,hunting, long-term hoilday,spring and autumn travel.